Get an amazing inside look into Pearl Harbor on this all-day private tour. 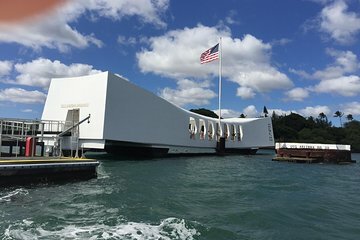 Skip the line at the USS Arizona Memorial, and take a short boat ride over to the commemorative monument while learning about the Japanese attack on Pearl Harbor on December 7, 1941. Make other stops along this tour, including the USS Bowfin Submarine, USS Missouri Battleship Memorial, and Pacific Aviation Museum. This private tour for up to three people guarantees your admission into attractions during the day.